Blast away dirt, grease and grime with high-performance commercial pressure washers from Midwest Service Equipment. We offer advanced technology from industry leading manufacturers such as ALKOTA to get your job done with less time and effort. Less cleaning time means less labor and enhanced productivity. What will you be using it for? Do you need a hot or cold commercial pressure washer? Where will you be using the machine? Indoors or outdoors? Will you have easy access to the power outlet? What is the length of time per job? Do you need a high-powered pressure washer? Midwest Service Equipment can help you match your exact needs so you make the most of your pressure washer investment. 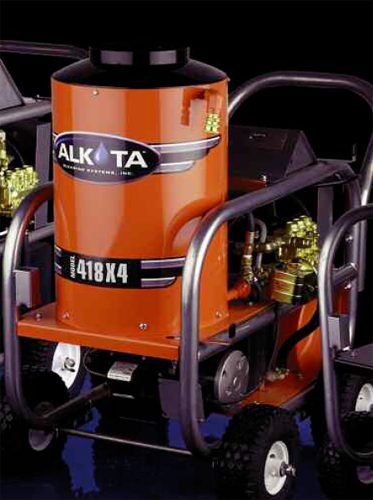 As authorized dealers of ALKOTA Commercial Pressure Washers we have access to the widest range of systems available in the market today. Take advantage of over 48 years of industry experience and get the right commercial cleaning equipment. 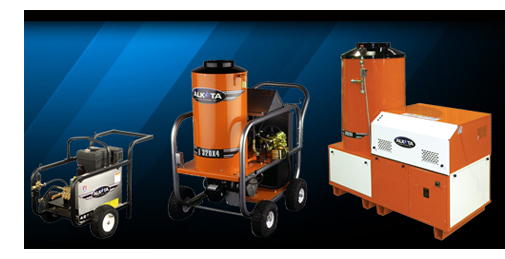 Call 262-679-2777 or email us at sales@msealkota.com for information on top of the line ALKOTA Commercial Pressure Washers. There are three elements present during hot water pressure washer use that successfully remove oil, grease or either combined with dirt. These elements are heat, agitation and soap. For a breakdown of eactly how they work. If you’re washing away mud, sand or stripping paint from a non-porous surface, a cold-water pressure washer will work just fine. Combined with detergent, a cold-water pressure washer can be very effective in many applications. Cold water pressure washers are less expensive to purchase and less expensive to maintain. Some applications such as deicing or disinfecting require steam pressure washers. Steam pressure washers are also often used to clean barrels or disinfect tanks of various sizes. Steam pressure washers may be an ideal solution for roof thawing or restoration of older vehicle. 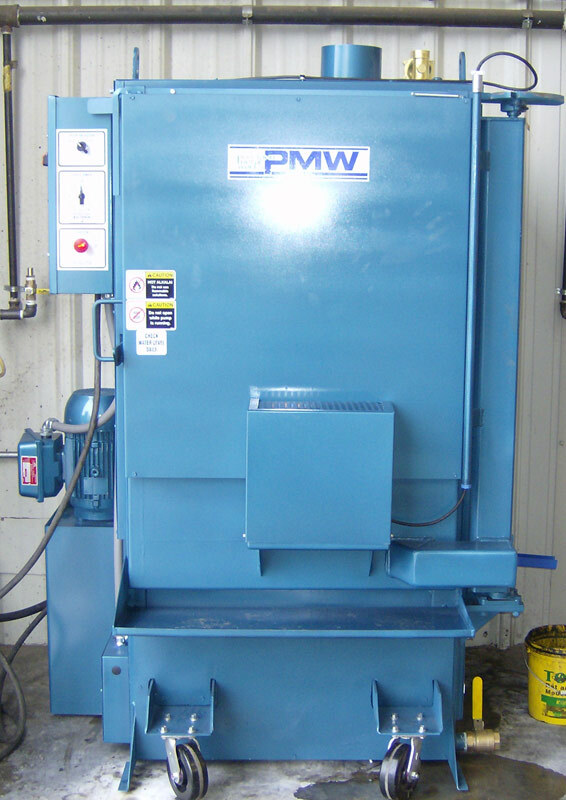 Situated in the rolling farm country of eastern Iowa, PMW has made a reputation as a high quality manufacturer of Parts Washers. They have earned a reputation for quality and integrity making PMW a sought after partner in manufacturing. 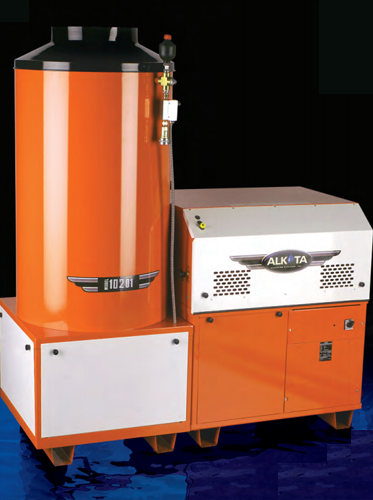 Tackle the biggest cleaning jobs with Alkota's Gas Fired Series of Pressure washers. These durable units operate on natural or liquid propane gas for economical and dependable performance. Should you be recycling and reusing your pressure washer water? By reducing the volume of your waste, your disposal cost are reduced by a proportionate amount. Call Midwest Service Equipment for more details. 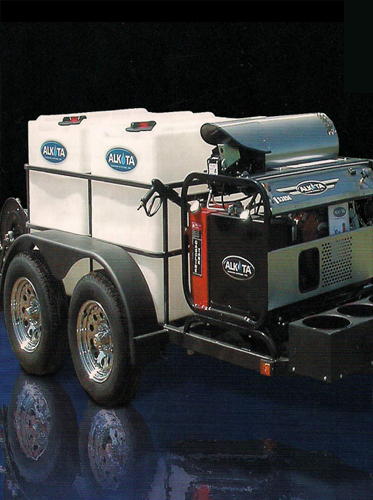 Alkota's Hot High pressure Washers are now even more mobile with their Four Wheel Series. The X4 Cleaning Crew and the AX4 Tine Terror can be moved with ease, so you can bring the washer to the job instead of bringing the job to the washer. 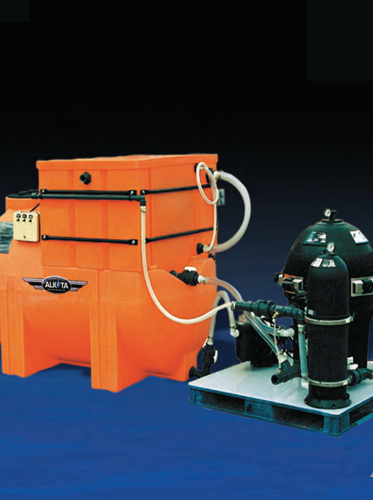 Alkota Mobile Cleaning Systems are available with either 230, 330, or 460 gallon water tank capacities. These trailer mounted systems have options for every application.